Switzerland…the place we had the most amazing and life changing trip to over the summer. We absolutely fell in love with it and even decided that one day we just have to go and live there for a while! We kicked ourselves as to why we hadn’t made the trip earlier and nothing could have quite prepared us for the sheer beauty and heart pounding adventure we would discover. As soon as we stepped foot into Switzerland we knew it would be our ultimate destination…here’s why! Why go to Switzerland…well to take in some amazing scenery that’s why! Switzerland is one of the most stunning places on earth and around every corner there is another view to blow you away! Whether that be the vista over the river Rhein or the famous peaks of the Swiss Alps, this country offers views like no other and it will never fail to amaze you! You will also be treated to some spectacular views waking up too, who said early mornings were a drag! From hostel to mountain huts you can stay anywhere in the Alps, for the best Switzerland luxury chalets check out Tempston Luxury. Switzerland is an adventurers paradise! 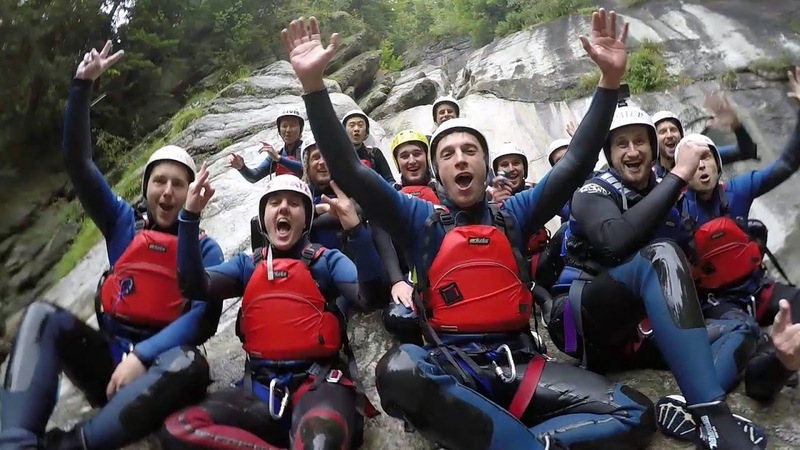 From White water rafting, cayoning, kayaking, canyon swings, paragliding, climbing, via feratta, mountaineering, sky diving or hiking it has it all! 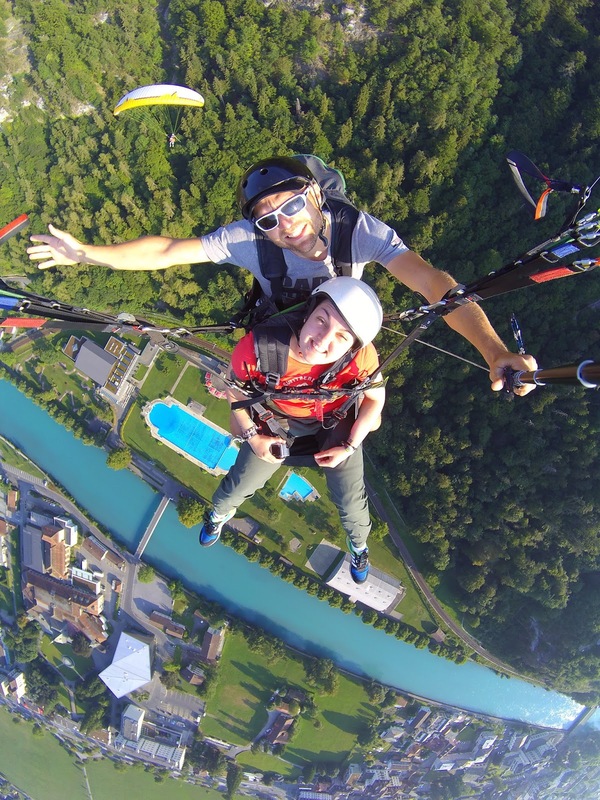 Visit one of the towns or cities in the alpine region such as Interlaken and you literally have to go out of your way to avoid adventure! As you might imagine, Switzerland is as organised as anywhere could ever be…everything runs like clockwork (I mean, they are famous for their watches!). Trains connections are on time, reasonably priced and go literally anywhere! Switzerland isn’t a huge country but it’s infrastructure of trains, motorways, buses and cable cars mean getting from one side to the other is easy and hassle free. Mountain tops, ski slopes, picturesque little villages or bustling city centres are all assessable on public transport! They even have The Swiss Card making it even more convenient! is a great way to take advantage of this amazing landscape! Two things here: I have never seen water the colour I have in Switzerland! From the emerald green of the Rhein to the piercing light blue of Thun and Brienz or the icy white of the Lutschine. The water here is just beautiful, the lakes and rivers just another reason your jaw will hit the floor! Secondly: It is so fresh and pure! After rafting down the river, swimming in the lakes and showering in water straight off the mountains my skin never felt so smooth and healthy! It’s tasty and refreshing too, many cities and towns have fountains all over for people to drink this chemical and toxin free water! 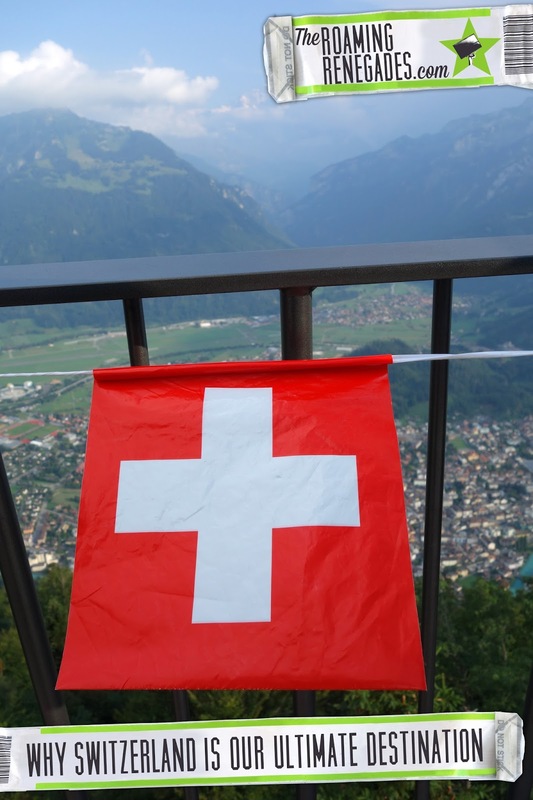 Swiss people are friendly, approachable and enthusiastic about their country…and why wouldn’t they be living somewhere that is constantly voted as one of the best places to live and being surrounded by such beauty! Not only that but places like Interlaken are a mixing pot of people from all over the world who come to live and work here to guide and explore this amazing region. These adventurous types have often travelled the world and have some amazing and inspirational stories to tell! The food in Switzerland is a cheese and chocolate lovers heaven! Since coming back from there I just can’t bring myself to eat anything over than Swiss chocolate…nothing compares!! I think I might have just spoilt myself a little too much! 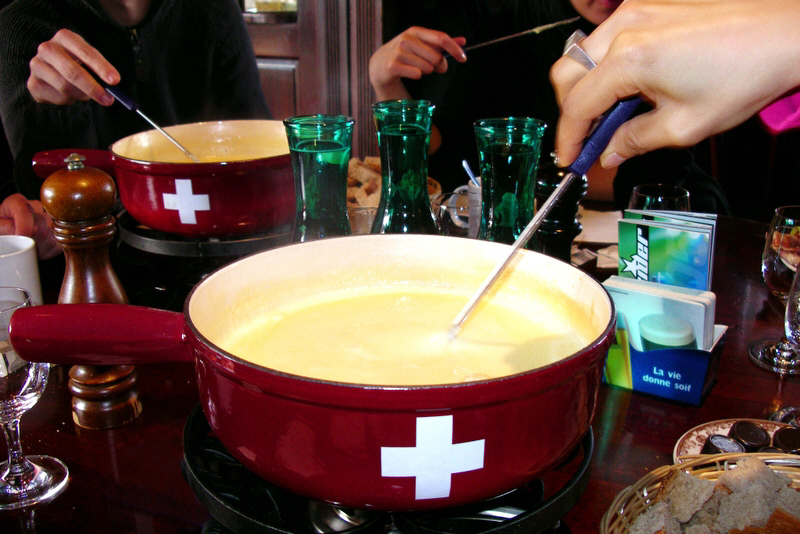 Oh and Cheese fondue anyone! What a delight…dipping pieces of bread into melted cheese, not sure it gets any better than that! 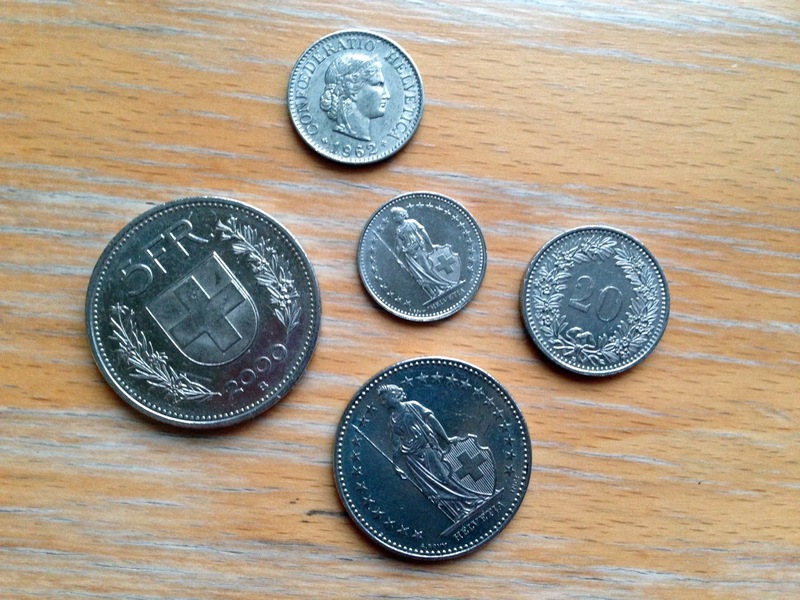 I will admit now…if I lived in Switzerland (which we aspire to do in the future) I would be fat! Switzerland is a unique country which has taken inspiration from it’s neighbours: France, Italy and Germany, this can be seen in the fact it has 4 official languages! From the food to the architecture, language and attitudes Switzerland is varied and no one area is the same. For a small country the diversity in culture is fascinating, visiting the mountainous regions gives you a taste of typical Alpine culture or heading off into the cities there is an abundance of museums and historical buildings as well as modern innovations! There is just something so alive about Switzerland, the mountain towns are full of young and energetic folk just out for an adventure! The little wooden chalets and traditional houses transport you back to the golden era of travel. There is just something very special about Switzerland that you can’t quite put your finger on, a buzz and an excitement combined with history and stunning surroundings. It is something I will never forget, that air of possibility every morning as you wake up and look out onto the mountains. Epic destination that lived up to our fairy-tale dreams! Having always wanted to visit a true Alpine region, Switzerland lived up to all our dreams and more. The alps are a place of wonder and magic that truly capture your imagination. I had seen some great views before finally visiting Switzerland, but all those paled into insignificance as I set my eyes over the Eiger, Monch and Jungfrau. Switzerland is like a fairy tale in every sense! Ok, so maybe we are obsessed here but come on, Switzerland is just too beautiful for words!! Ok, now what about this “almost” tagged on to the end! Well Switzerland can be expensive, there is a reason all those millionaires live out there. What makes it a tax haven and gives it such a strong economy makes it hit our pockets hard! But is it worth it? We think so. And there are ways to make it affordable. Travelling in the off season, camping and staying in hostels as well as cooking your own food too. There are also a few ways to save on transport such as the Swiss card and booking early and taking advantage of the half price offers. What is your ultimate destination which really stole your heart? Bookmark this article Why Switzerland is our ultimate destination! …almost! OMG! This looks truly full of fun, I am also going to explore the incredible Switzerland after my washington to dc bus i am sure that i will spent amazing time like this too. It is an amazing country for sure.